Welcome to Eric's Sharper Edge. 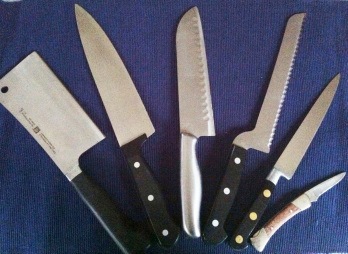 I provide knife sharpening services to the home chef as well as the professional user. I provide free pick up and delivery to the local area. I also sharpen scissors, lawn mower blades,chain saw chains, garden tools etc... I am located in Franklin, Massachusetts.